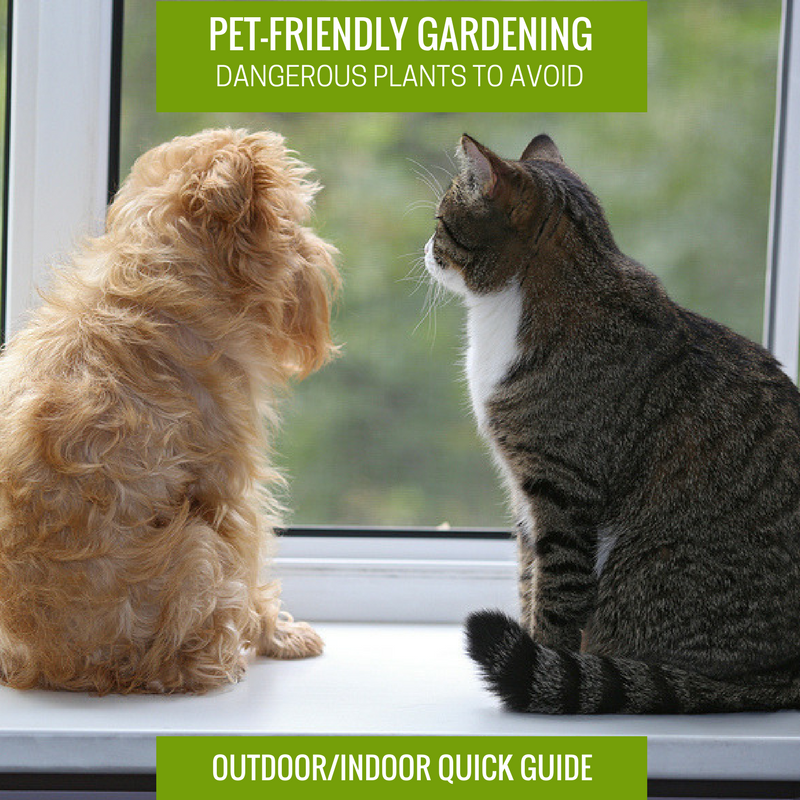 Understanding which plants are dangerous helps us create pet-friendly gardens. Many plants are toxic to pets. They may cause anything from vomiting to paralysis to organ failure to death. Some plants, although non-toxic, may cause injury to tender paws or skin. One of the best sources to determine if a plant is safe for your pet is the ASPCA website. If you have any question at all, please consult them. 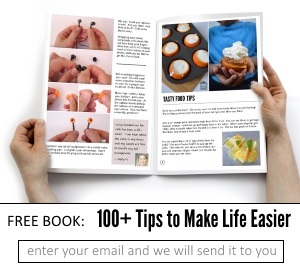 Their list is the most comprehensive. You can also consult your local garden center, too. They will know what plants are harmful to pets. Avoid using any plants that are spiny or have thorns. Cactus, rose gardens and berry patches should be off-limits to your dog. Decorative grasses can be a problem, too, as many have barbed seed heads, which dogs may inhale or ingest. These seeds will lodge in your pet’s lungs or throat and cause serious health issues. Thorny plants can also cause serious injuries to feet and eyes. If you have an issue with mushrooms growing in your yard or compost pile, be aware that they release chemicals that can be potentially fatal to dogs. Keep your pet away from the compost bin, and remove mushrooms as soon as you see them. Discard in the trash can. Surprisingly, most Spring flowering bulbs are poisonous to dogs and cats. These include Crocus, Daffodils, Tulips, Amaryllis, and almost any other bulb you can name. If your dog is a digger, this could be a big problem, and you’ll want to keep them away from bulbs. Many common plants used in landscaping are poisonous to dogs. Oleander, Ivy, Boxwood, Privet, and others are used in virtually every landscape, yet all can be dangerous to your pets. Consider replacing them is your garden with pet-safe plants. Don’t forget about mistletoe, too. If you have older trees and they contain mistletoe, be careful around pets. It is toxic. Although their fruits and nuts aren’t necessarily harmful to pets, Apple, Apricot, Cherry and Black Walnut trees themselves are. Pets that may chew on young trees or cut limbs may be in danger. 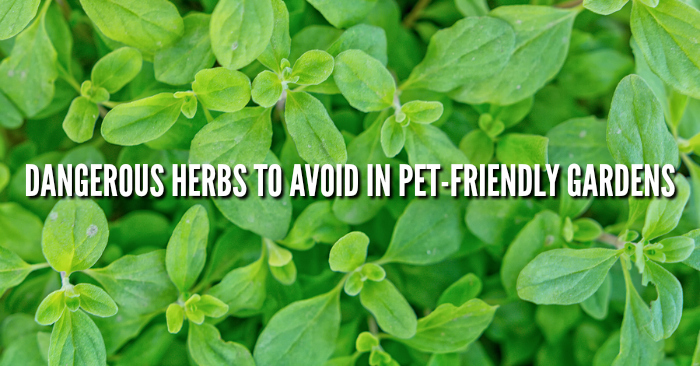 Herbs can be toxic to pets. 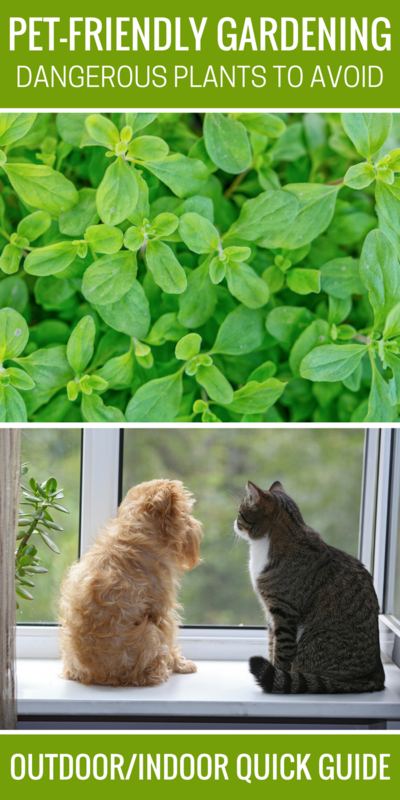 Marjoram, Garlic, Bay Laurel, Mint and more are known to cause health issues in pets. Keep your pets away from your medicinal herbs, too! Most will cause a severe reaction if ingested. Many annuals and flowering plants are toxic to both cats and dogs. These include begonias, although there are a few varieties that are safe, include the Peach Begonia, Chrysanthemums, Sweet Peas, Hydrangeas, Vinca or Periwinkle, Azaleas and more. Lilies and Carnations should be avoided. 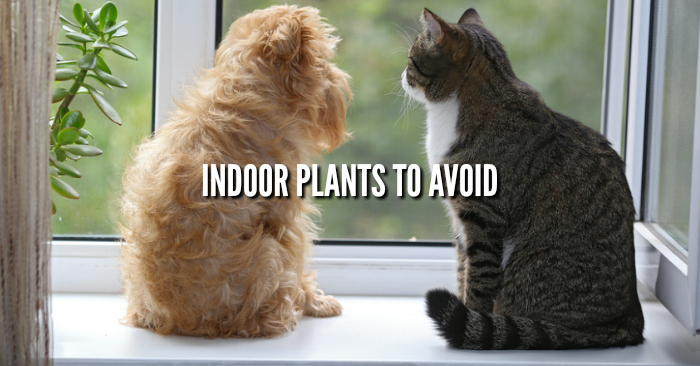 Inside the house, there are many houseplants that are poisonous to pets. All varieties of ficus, including rubber trees, weeping figs, and more are toxic. Dieffenbachia or Dumb Cane can cause paralysis. Asparagus Ferns, Poinsettias at Christmas, Holly plants – all poisonous to dogs. The best suggestion is to keep houseplants out of the reach of pets. There are so many varieties that are poisonous, it makes sense to keep them away from your dog or cat to keep both the pet and plant healthy and happy. Although it may seem like this is a long list of poisonous or toxic plants for pets, it only takes a little planning to have both your garden and furry friends living in harmony. No one wants an emergency vet visit due to eating plants. More pet tips & gardening tips right here on One Crazy House.